I’ve been reading math and physics textbooks for enjoyment for a while now. Most people think I’m a bit nuts when they learn that, but that’s probably because they’ve got a bad view about learning math and the sciences due to the awful way public schools go about teaching the subjects (a topic which I could go on and on about). I do this because I like math and physics — the problems are fun puzzles and learning new concepts expands my mind in a kinda new-age-y way. My protocol has always been to read a chapter of a book while taking notes, and then do about a third of the problems after finishing. I’ve had an unhealthy obsession with seeing how quickly I can get through books due to another unhealthy obsession with getting as far ahead as possible of my peers (these are mostly gone…). However, this method has often left holes in my understanding of topics, and I usually need to run through the material again some time later to really grasp the concepts I thought I’d learned. 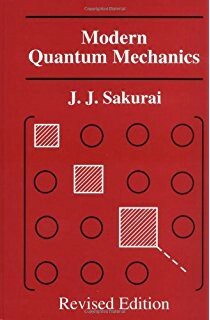 This summer, I wanted to read through Sakurai’s Modern Quantum Mechanics book as I want to be prepared for PHYS 2060 in the spring semester, which would allow me to take quantum field theory. However, I really wanted to take my time on the ideas in the first three chapters of the book (which would prepare me for 2060). I decided that I would try something new and do every problem in the book for once. This turned out to be the best thing I’ve done in learning physics, and I want to give the reasons why. By doing every problem, you will obviously be spending more time on problems. But it’s more than just that, you’re putting an emphasis on problem solving instead of getting through more material, so you tend to take your time more on the problems. Maybe this isn’t universal, but this was the case for me. In the past, when I would only do a third or so of the problems, I wouldn’t really stress my problem solving capacity by that much, so while I ended my study “knowing” the material of the topic, I wasn’t any stronger at solving problems than I was before. Another reason to do every problem when doing self study is that you won’t accidentally just do the easy problems, which is very easy to do. Suppose you finish reading and taking notes on a chapter and you’re deciding which 5 problems to do to test your knowledge. We as humans are too error prone to pick problems that will properly challenge us most of the time, and we end up picking out problems that we either know how to do beforehand or look simple enough that they won’t take long. Doing every problem takes choice out of your hands in these situations. No matter what, you’ll end up stressing your problem solving capacities, which is exactly what you should be aiming for. If you decide to only do a few problems from the end of a chapter, it’s very easy to choose problems on the concepts you understood the best. For example, in my study of group theory I happily did all of the problems related to homomorphisms and normal subgroups since those concepts made the most sense in my mind, but I naturally avoided the problems on Sylow Theorems since those theorems didn’t make too much sense to me. Doing every problem once again takes choice out of your hands and will force you to spend equal time on every concept. If a concept doesn’t make that much sense to you, you’ll be forced to go back into the textbook and read through the material again until you’re ready to solve the problem. Another reason doing every problem helps build a proper understanding of material is that there may be subtleties to a concept that aren’t immediately obvious when reading through it the first time. 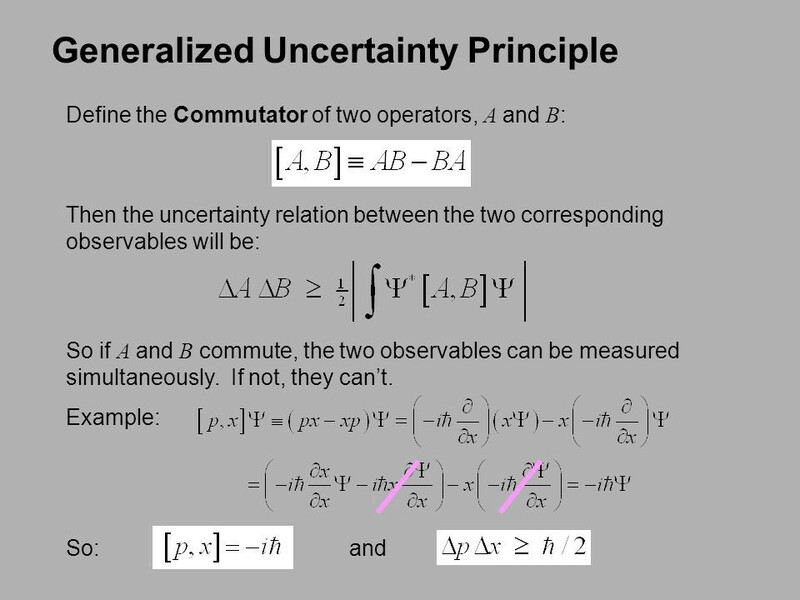 When learning about the uncertainty principle, I understood the general idea behind it and what the mathematical expressions signified, but doing multiple problems related to finding uncertainties of operators made me understand the inner workings of the principle better. One thing that I found surprising is that the more problems I did, the less time they took me. Initially, I aimed to do 1 or 2 of the easier problems within an hour. This was about the amount of problems I was able to finish at first, but later on I was able to get through problems more quickly. Some days I would surprise myself by finishing a difficult problem that I thought would take me over an hour within 10–15 minutes. This is a result of practice of course, but I didn’t expect that the benefits to problem solving skills would be so great that I’d get faster within a few months of study. At Case, I spent hours and hours studying the mathematics book we used — Calculus and Analytic Geometry by Thomas — and I worked every supplementary problem in the book. We were assigned only the even-numbered problems, but I did every single one together with the extras in the back of the book because I felt so scared. I thought I should do all of them. I found at first that it was very slow going, and I worked late at night to do it. I think the only reason I did this was because I was worried about passing. But then I found that after a few months I could all of the problems in the same amount of time that it took the other kids to do just the odd-numbered [sic] ones. I had learned enough about problem-solving by that time that I could gain speed, so it turned out to be very lucky that I crashed into it real hard at the beginning. While I may spend more time studying initially by doing every problem than I would have otherwise, the gain in speed would probably give me an edge later on, similar to what Knuth found out. Sometimes when doing only a select few problems, you miss out on really interesting examples or applications of a concept. Last summer, I was learning electrodynamics and using my previous method of doing about a third of the problems. Unfortunately, I missed out on interesting topics such as the Bohr magneton since I didn’t complete the problem about it. I later learned about the topic on my own time, but it would have been nice to have learned it properly, with all of the mathematical rigor presented in the E&M textbook, beforehand. After completing my study of the first half of Sakurai, I realize that my understanding of quantum mechanics is actually much more vivid than my understanding of E&M, and this is most definitely a result of the two vastly different study styles. I left very few stones unturned by completing every problem within those first three chapters, so I not only learned the quantum theory, but also about many interesting applications of the theory to real world examples. These are the main benefits I’ve found to doing every problem in a textbook, and I plan to continue this for every book I work through in the future. In fact, I’ve started reading Landau & Lifschitz’s book on classical mechanics while doing every problem. This could be a result of the authors’ excellent writing, but I feel like I have a much better handle on classical mechanics than I did beforehand by working through all of the problems. I would recommend everybody at least try studying a topic by working through every problem in the textbook at least once to see if it’s for them. I’m obsessed with learning and athletics and write frequently on the topics. When I’m not writing, I’m building my startup KneeHab and studying CS at Brown U.